With the promise of relatively easy money, Airbnb (Air Bed & Breakfast) is making innkeepers of many Greater Boston homeowners who are taking advantage of the popular website’s rental listing service. For those who don’t know already, Airbnb is a website where you can rent out one or more rooms in your home, condo or apartment for a nightly, weekly or monthly fee. But with some homeowners earning upwards of $20,000/year on rental income, Airbnb raises a multitude of thorny legal issues in Massachusetts, including whether an innkeeper or rooming house license is required, whether it violates condominium rules and regulations, and whether guests qualify as tenants. 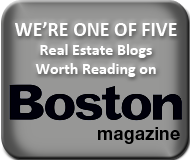 For example, in a recent case, a Back Bay condominium fined a unit owner over $9000 for unlawfully renting his unit out through Airbnb in violation of the condominium rules. But with success has come negative attention from cities and towns that want to tax the lodging arrangements as they do hotels, from landlords with leases that prohibiting sublets, and from neighbors who don’t want strangers traipsing through buildings. There are also some horror stories popping up with Airbnb guests turning into squatters and refusing to leave. In New York City, the Attorney General is waging a publicized legal fight to get Airbnb host names and recover unpaid hotel taxes. Last year, a group of Brookline residents dropped a dime on a local homeowner who rented out rooms to foreign exchange students via Airbnb. According to Brookline Building Commissioner Dan Bennett, an owner may rent up to two rooms to two lodgers as of right, as long as there are no separate cooking facilities. If an owner wants to have another lodger, they would require relief from the Zoning Board of Appeals. From a legal perspective, there is no doubt that Massachusetts municipalities will eventually be considering whether Airbnb qualifies as a rooming or lodging house, bed and breakfast or hotel for purposes of both regulation and taxation. Hey, you think cities will pass up a golden opportunity to increase tax revenue? No way. The state Executive Office of Health and Human Services recently opined in a memo that lodging of this type is subject to local licensure as a bed and breakfast. For now, the City of Boston Inspectional Services Department has issued a temporary policy that they will not issue citations to homeowners while an internal group works on recommendations. A city policy is expected this fall, and as yet, no per-bed fee rate has been set. The Licensing Board for the City of Boston requires a lodging house license if lodgings are rented to four or more persons not within the second degree of kindred to the person conducting the lodging. This license is an annual requirement and a lodging house is further required to keep, in permanent form, a register of the true name and residence of occupants for a period of one year. Lodging house license may require upgrades with smoke detectors and fire prevention systems which may be cost prohibitive for any Airbnb host. The Boston Inspectional Services Department requires that a property be registered if it is to be occupied without the owner of the property present. This registration is done on an annual basis and inspection of the property is required on a five (5) year cycle by the Inspectional Services Department. This regulation applies to “a non-owner occupied room or group of related rooms within a dwelling used or intended for use by one family or household for living, sleeping, cooking and eating.” More information is available here. In the suburbs, Airbnb may also run afoul of zoning by-laws which regulate whether a home is a single family or multi-family dwelling. Taxes. The City of Boston excise and convention center taxes (together known as room occupancy taxes) may apply to an Airbnb listing. Refer to the Massachusetts Room Occupancy Tax Guide for more details. In addition, the Massachusetts excise tax may also apply. Refer to Section 64G(3) of the State Tax Code. Airbnb offers rentals for a daily, weekly or monthly charge. Whether a guest would be considered a legal tenant entitled to the vast protections under Mass. law depends primarily on the length of the tenancy. Under state law, if the premises is deemed a rooming house or lodging house, a rental for three consecutive months constitutes a tenancy at will which can only be terminated with a rental period notice of at least 30 days. Occupancy of a dwelling unit within a rooming house or lodging house for more than 30 consecutive days and less than three consecutive months may be terminated only by seven (7) days notice in writing by the operator of the rooming house or lodging house to the occupant. A daily rental is a grey area and would likely be considered a mere license. However, in all instances, the host must use court eviction proceedings to evict the guest, and cannot resort to self-help such as changing the locks, lest they be subject to liability. If you have the chutzpah of renting out a room in your leased apartment via Airbnb, the rental will likely violate your lease’s provision against sub-leasing and your landlord will not be happy. Most standard form apartment leases provide that any sub-lease must have the written consent of the landlord so the landlord can control who occupies the unit. Most landlords I know will not approve of an Airbnb rental situation, unless they are getting income and are assured of the security and safety of the situation. Renting out your apartment through Airbnb can violate your lease and subject you to a quick exist via eviction. From one legal question and answer website, tenants are already facing eviction for using Airbnb. If you are renting out a room in your condo, Airbnb rentals may also conflict with condominium rules and regulations, many of which prohibit short term rentals, business use of units, or both. I highly doubt your condominium association and fellow unit owners would be happy if a unit were turned into a revolving door of bed and breakfast guests. Most condominium documents provide for rules governing the type and length of rentals of units. Unit owners who violate these rules can be subject to fines, penalties and court action. These cases should be popping up more and more. Most conventional single family and condominium Fannie Mae compliant mortgages contain a provision where the owner agrees that the mortgaged property will remain the borrower’s principal place of residence and not an investment property. Investment property mortgage typically carry a higher interest rate and are sold in a different category in the secondary mortgage market. Homeowners who make a practice of using Airbnb may unknowingly be violating their mortgage agreements by converting the property into in essence a rental property. The same holds true for a standard homeowner’s insurance policy. Turning your home into a bed and breakfast certainly raises a host of new risks for both the homeowner and the insurance company underwriting those risks. If there is an unfortunate accident involving an Airbnb guest, watch out because the insurance company could deny the claim due to converting the character of the insured property into a rental property. Airbnb is certainly a game-changing technology in the rental space. As is common with any new distruptive technology the law is just catching up. But the law will catch up and Airbnb hosts and guest must pay attention and comply with whatever regulations and law that are passed. Check back here for more developments as I will be monitoring the situation.